So, you want to build a nuclear fallout shelter. You’re not alone: The civilian bomb shelter construction industry has been steadily growing to meet demand for the past decade, with recent events igniting a full-on market boom. Whether you go the DIY route or opt for a custom-built option replete with blast doors and air filtration systems, you're going to need food — and a lot of it — to survive. The pantry area of your bunker needs to be cool, dark, and very well-ventilated; it should also include a diverse selection of dried bulk foods, canned goods, and pre-made meals like MREs. Here are some tips to get you started. Without enough water, we die, so the first priority for any fallout shelter pantry has to be plenty of bottled water. How much is plenty? Probably more than you think: According to some estimates, a person can use up to one hundred 380L of water in a single day. A beginning-to-end water purification system is useless if you exhaust your bottled supply and can't find another water source, so take your time to make the most accurate estimate you can. Run your calculations many times over, accounting for every possible usage rate, and stock your bottled water reserves accordingly. When stored correctly, dried goods are the longest-lasting food you can buy. Rice, dried beans, whole grains, powdered milk and jerky are all excellent options with nearly indefinite shelf lives. What you stock is, of course, entirely up to you, but when it comes to storage there are some best practices to abide by. Invest in a vacuum or heat sealer so you can seal dried goods in foil bags with oxygen absorbers*, store the sealed foil bags in food-grade plastic buckets, and construct plenty of pantry shelving to keep your food stores above floor level. Dried food is useless if it's floating in a puddle of nuclear waste. *A note on oxygen absorbers: Never use these on high-moisture (10 per cent or more) dried goods, as this encourages botulism. Check the labels on your storage solutions and always follow the manufacturer's instructions. Protein is a non-negotiable part of the human diet, and many canned foods are protein-rich. 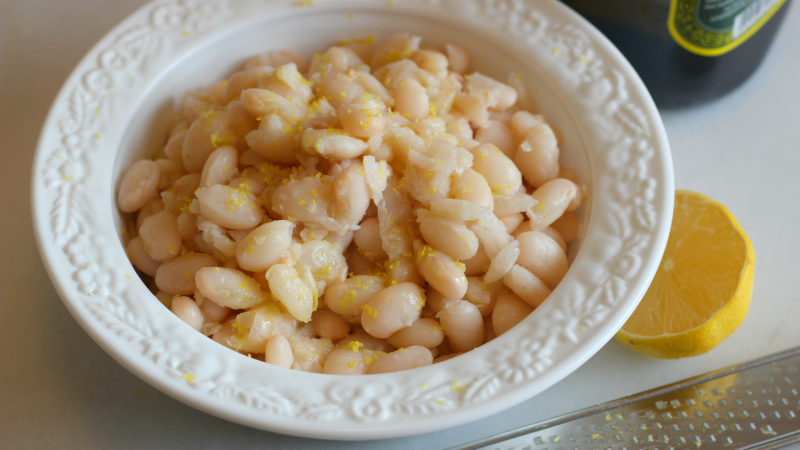 Canned beans, stews, soups and fish are all readily available and can be safely stored for around five years. Condensed and/or evaporated milk is also a good choice, as are deliciously sodium-laden canned meats such as corned beef, Spam and Vienna sausages. A hot environment (26C or higher) diminishes the shelf life of canned food, so keep your food storage area well-ventilated and as cool as possible — 15C is pretty ideal, but cooler is always better. If you do your own canning, thoroughly review and follow the USDA guidelines for home food preservation to ensure safety. In addition to excess heat, anything stored in glass must be protected from light, so factor this into your food storage setup too. A full spice cabinet is a mild-to-moderate waste of bunker space, but don't neglect the basics: Without cooking oil, salt and sugar, you won't be able to do much cooking at all. Olive oil's shelf life is upwards of three to four years, while coconut oil and vegetable shortening will last around two years; salt and sugar last indefinitely. As with dried and canned goods, keep these items tightly sealed and protect them from heat, moisture and light to maximise their shelf life. I'm no psychic, but it seems unlikely that the post-apocalyptic lifestyle will consistently allow time for cooking dried beans. This is exactly why you should stock some MREs and other instant meals. Real-deal MREs are available at most Army surplus stores. Even if you have your bases covered with bulk foods alone, I still recommend picking up some emergency rations like these 3600-calorie (15062kJ) bars. If there's one time you don't want to be hangry (or, you know, literally starving to death) it's in the dead of nuclear winter. Let's get real: No matter how stringent your preparations, the likelihood of surviving in an underground bunker for more than a couple of years is pretty damn low. Whatever provides a brief respite from the crushing desolation of day-to-day existence — whiskey, gin, chocolate, wine — stash some away for particularly hard days. I don't recommend cigars and pipes unless you're hellbent on death by tobacco smoke inhalation, but hey, I'm not your boss. As an apartment-dweller, I've accepted that I'm just not supposed to survive the nuclear apocalypse; my plan is bringing plenty of wine to the overcrowded, underground End Times party. 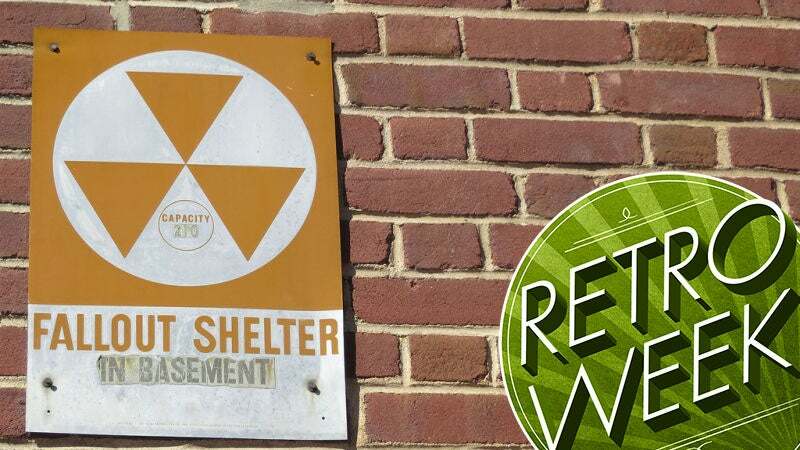 Homeowners, what's your fallout shelter situation? If you've built one yourself — even if it's just a designated corner of your basement — I want to hear all about it.